The World Looks Red: Cutest dress! 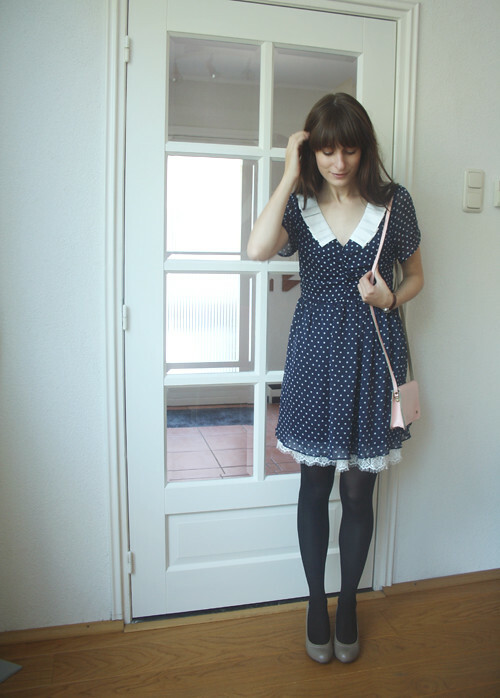 Here is the pretty Miss Patina dress I told you about! 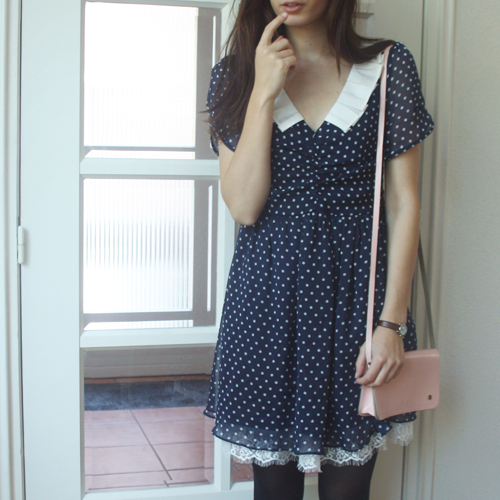 It basically has everything I could want in a dress: navy, polkadots, lace, a cute collar and the fabric is super lightweight. Who would have known pleated collars are so cute?! Heel mooi, je doet me eraan denken om meer pumps te dragen.